Holy Stuff! 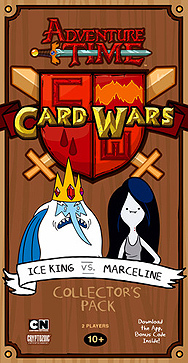 Check out Ice King's Icylands Deck and Marceline's Useless Swamp/NiceLands Deck! Card Wars just got 20% more flippin' awesome with 2 new decks to add to the warring.